The monster above your head stared at you. You stepped back. His mouth: wide open with large teeth. His eyes: ferocious and menacing. His legs: gigantic. He was ready to jump at you in any minute. You watched him watch you through your camera lens. You squinted your right eye. You moved back and forth to capture him. More to the left, more to the right or perhaps two steps back? Mhhhm. Click. The monks in burgundy robes looked at you amusingly. You couldn’t blame them; your object of desire was quite a choice. Another click. Twenty minutes, several different angles and some weird looks thrown your way later you were rewarded with a photo of him glaring down at you in the most threatening way that you could have imagined. Gotcha. Now you were ready to enter the Shwedagon pagoda with a sense of satisfaction. It was raining cats and dogs when you visited the pagoda on that day. You got the first glimpse of Myanmar’s most well known pagoda from the window of your plane. It was impressive even from such a distance. You were, however, not impressed when you stood in front of it craning your neck until it hurt. To be impressed was an understatement: You were overwhelmed. Gleaming in gold, it was indeed a sight to behold. Majestic. Mesmerizing. Sublime. People moved passively around you, everyone seemingly lost in their own world. Yet, everybody was doing something, monks washing statues, visitors offering flowers, devotees worshiping and meditating in their favorite corners. Time doesn’t matter when you are in such a holy place. Time is indeed different here in this country. Visiting Myanmar means going back to the past. Your time machine was the circular train that takes, as the name already suggests, a circular route of more than four hours through Yangon and its suburbs. Especially for foreigners, it offers an authentic insight into the daily life of the people living in this city. You were not the only foreigner in the wagon. Joining you was also an old Taiwanese American couple who just arrived in Yangon a few hours ago. Frank and Gina, as they introduced themselves to you when you stood on the platform, just happened to come from California and now preferred to divide their time between Taiwan and the US. And any other countries that were on their list of destinations. Now over the age of 60 and retired, they had all the time in the world. “It is more fun that way, you know?” Frank said. “I know,” you said and wished your parents could be more like them. You sat across from each other and the train began to move. “This is pretty much like Taiwan in the 1970s,” Frank told you as he leaned over the open window. The wind was refreshing and welcoming. You let his thought sink inside your head and realized Myanmar has a long way to go to keep up with other countries. Frank alternated between moving to the right side and the left one in fear of not being at the right place to capture the ‘right’ moment. His wife Gina was the calmer one. She sat patiently looking out at the window, talking to you and her husband. The conversation between you and them flowed effortlessly. The silence was never awkward. You talked whatever popped into your mind. After a while the three of you decided to focus on the scenery outside of the window. The train travelled at a deliberately slow pace giving you enough time to observe your surroundings and gain a clear overview of the city. You passed lush green fields. You saw and waved at people standing and waiting on train platforms. Their smile was contagious. Never before has waving at someone been so much fun for you. You smiled at vendors selling snacks, children playing soccer, people farming on their fields. Life at its fullest exposure. Poverty is everywhere. It is a hard life and you wondered how in the world they can still smile. Perhaps it is exactly the reason why they smile. 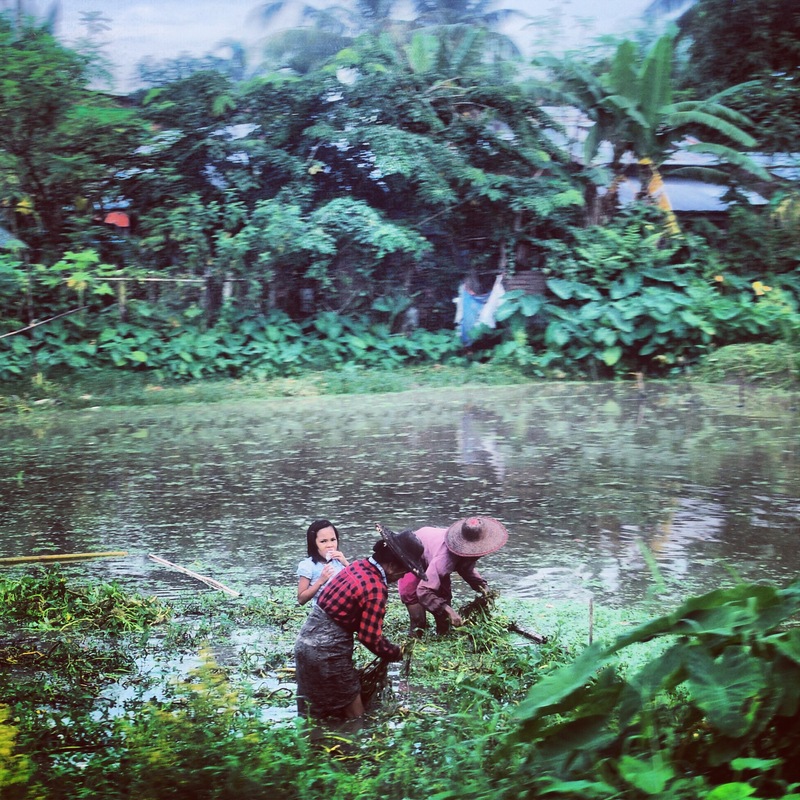 It was almost dark when the train bought you back to the very heart of Yangon and you told yourself that this won’t be your last circular train ride. 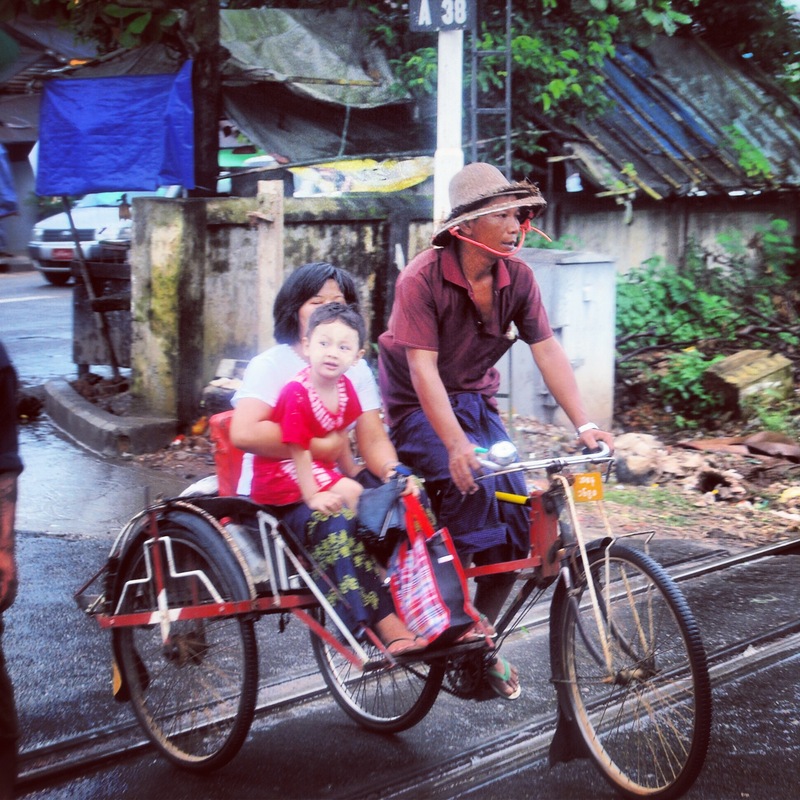 Frank and Gina headed for Yangon’s Chinatown while you opted for a walk back to your hotel. You didn’t take the normal route and got lost but the walk was truly a lesson in diversity. Yangon managed to surprise you again. Mosque. Pagoda. Church. Hindu temple. Sometimes they stand side by side. Sometimes they are just a few blocks away from each other. There are religious and ethnic conflicts in some other states but here in Yangon peaceful coexistence seems to be possible. Here is the ugly truth: The circular train ride was more than just a train ride. It was fun but it also revealed Myanmar’s current state: Decades of economic and political isolation and military dictatorship have turned Myanmar into a country that is seriously lagging behind its neighbors. As surprising as it sounds, back in the early 1960s Myanmar was one of Asia’s leading economies. Now time seems to stand still in some areas of Yangon. Myanmar’s former capital and largest city is dominated by run-down buildings and cracked sidewalks where vendors sell their products. Crumbling colonial villas stretch over the cityscape. Things are getting better in Myanmar but it would take years/decades to reach Thailand’s level. It has of course occurred to you before that it takes only 1 hour to fly from Bangkok to Yangon but now that fact has another meaning for you. Yangon and Bangkok. Bangkok and Yangon. Two cities. Two different worlds. So close and yet so far. Thailand’s capital has everything the modern world has to offer. It sounds strange and probably doesn’t make sense but you wish Yangon would stay Yangon but can still be like Bangkok someday. You wish Myanmar would learn from the mistakes of its neighbors and develop its own approach. You really like Bangkok but you don’t want Yangon to turn into another Bangkok, a tourist hell. 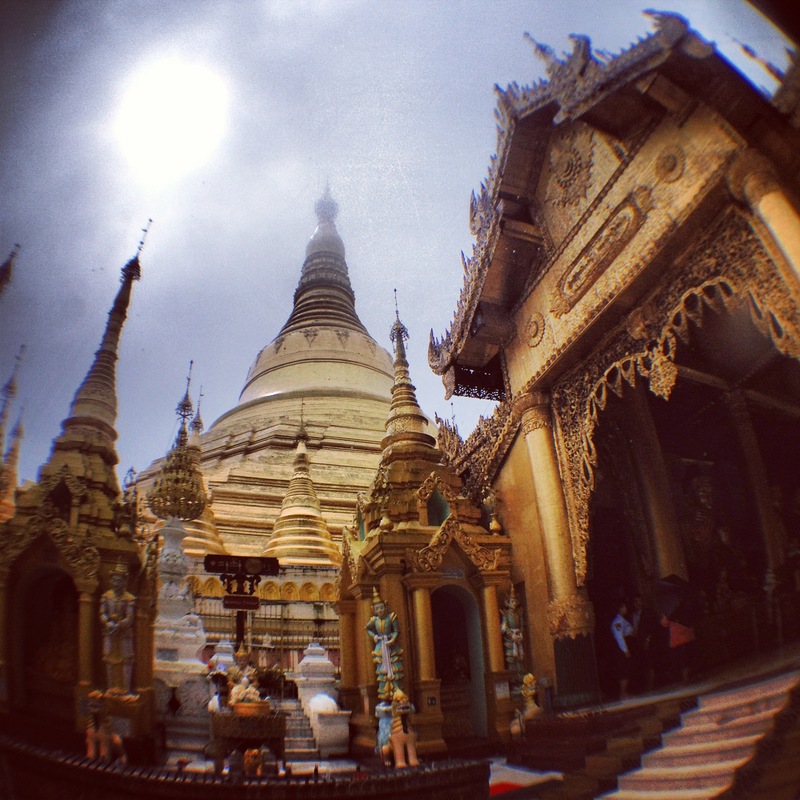 You thought of Bangkok and felt an urgent need to leave Yangon for a quieter place. 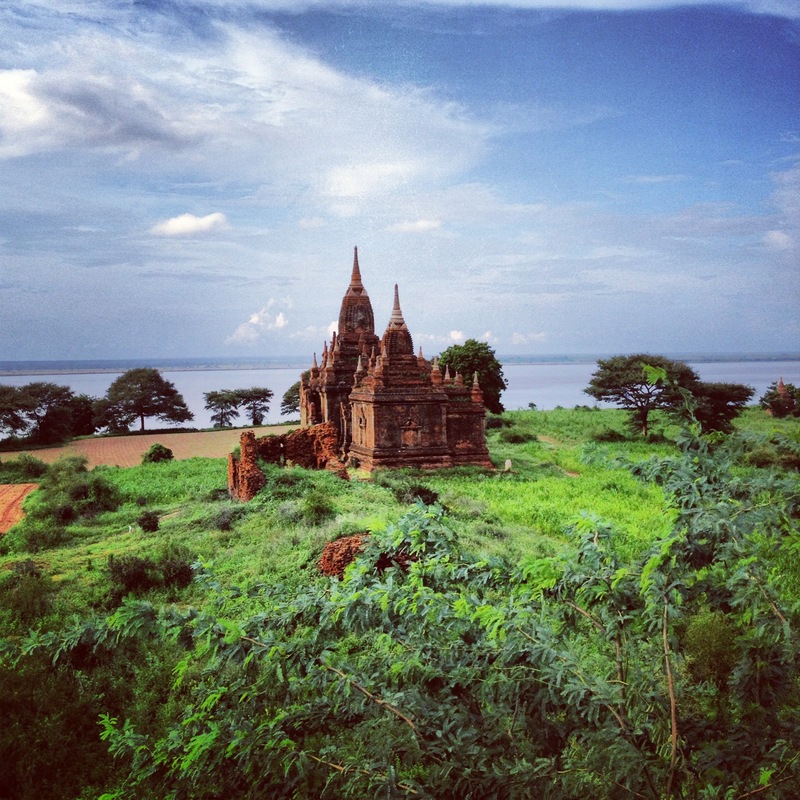 And so you came to Bagan and it was the perfect escape. Bagan welcomed you with a long sun- drenched day. Time moved slower than in Yangon. All you had were your eyes and your feet. They were all you needed. It felt good to be alone on the road. It felt good to have the road for yourself. You wandered on one of the two main streets looking at countless temples. At one point you enjoyed getting lost in a small hamlet next to the Irrawaddy river. A horse cart owner approached you and after a hesitant moment you agreed to join him on his cart because the sun was unbearable. The ride was a bumpy one. The cart zigzagged its way through many green fields and you climbed on the top of the Shwesandaw pagoda. A rainbow appeared on the sky. It was very picturesque and too good to be true but it was reality. Luck was definitely on your side. You paused to catch your breath and drank in the landscape. Temples, dozens of them, no, hundreds of them, amazing, other-worldly silhouettes. You just sat there in silence watching the last sun rays disappear from Bagan’s horizon. It was liberating and therapeutic. For now, above the pagodas your self-imposed isolation felt complete. Some might say it was not the perfect sunset but to you it was more than perfect. It was your sunset. The ride back to the hotel was a short one. The sounds you heard were familiar but surreal at the same time. Cicadas singing in the air. Horses galloping at a slow pace. Out of a sudden, the horse cart owner began to sing. You listened. And then a funny thing happened: You hummed with him. What a way to end a day. What a day to start an adventure. The next day found you awake to the sound of rain drops. 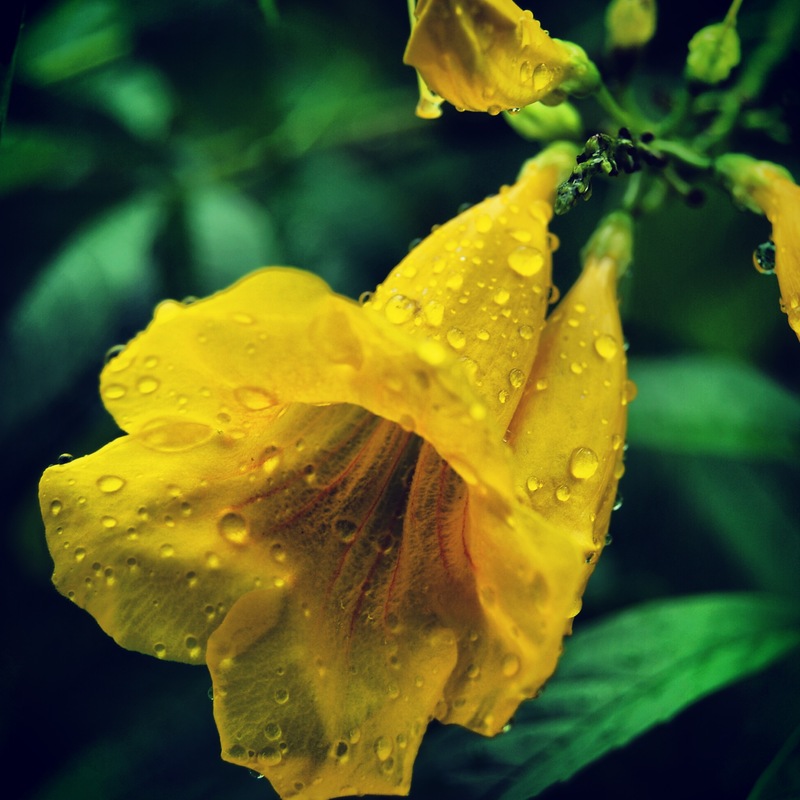 It was the rainy season. You stepped outside of your bungalow and the smell of jasmine was in the air. It was comforting. You decided to take another walk to find the post office. It was hidden in a big building that you already saw when you first arrived in Bagan. You wrote your postcards thinking about all the small little things you had encountered in the last few days. And then it hit you. Strangely enough everywhere you went you found familiarity among foreignness. There was a bit of Vietnam in Myanmar: the sounds of cicadas. There was bit of Germany in Myanmar: the melody of Beethoven’s For Elise used by a street cart vendor. There was a bit of Japan in Myanmar: the cars on the streets of Yangon. There was a bit of the US in Myanmar: the man carrying a NYC bag standing on the train platform. There is a bit of Indonesia and Ethiopia in Myanmar: the banana trees. The lady at the counter waited for you patiently and smiled when she read the destinations on your postcards. “Ah, lots of international friends,” she said. You smiled back, thanked her and scratched your legs for the umpteenth time of the day. Bagan’s mosquitoes loved you. Perhaps a little too much for your own liking. Rain again. You just arrived at the Shwezigon pagoda and needed to leave in two hours to catch the flight back to Yangon. 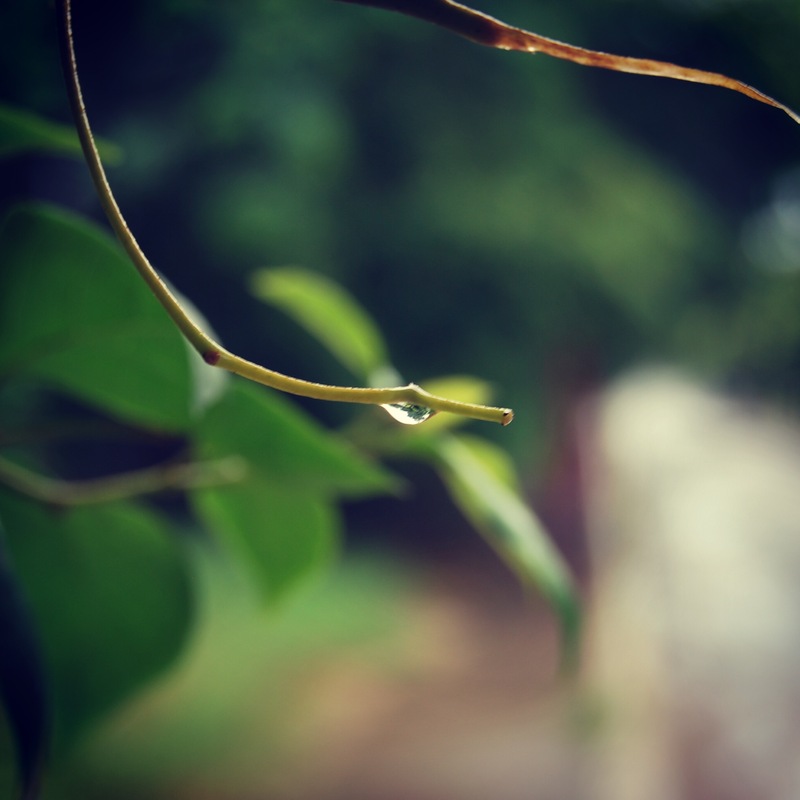 You took a stroll around the large temple and became fascinated by a little boy bathing in the rain. He shrieked delightfully as big rain drops splashed on his head. His carefreeness was contagious. This time you didn’t come back to Europe to declare how wonderful the world is. You came back to Europe thinner, tanner, with lots of mosquito bites on your legs but full of zest for action. 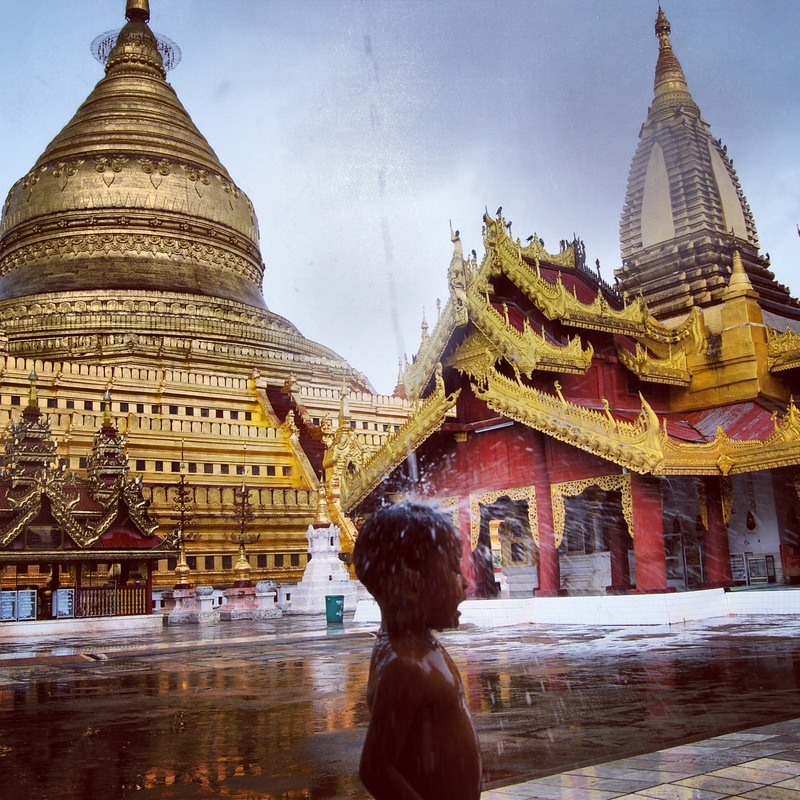 This entry was posted in Burma, Musing, Myanmar, Walking and tagged Bagan, Bangkok, Budhism, Burma, Chinatown, circular train, Myanmar, pagoda, Shwedagon pagoda, Shwezigon pagoda, solitude, stupa, travelling alone, walking, Yangon by t.on.air. Bookmark the permalink. We spent 3 weeks in Myanmar – loved every minute of it. Each place we went to had so much to offer, so fascinating, and the people always friendly. I think I wrote about 4 or 5 posts on it. 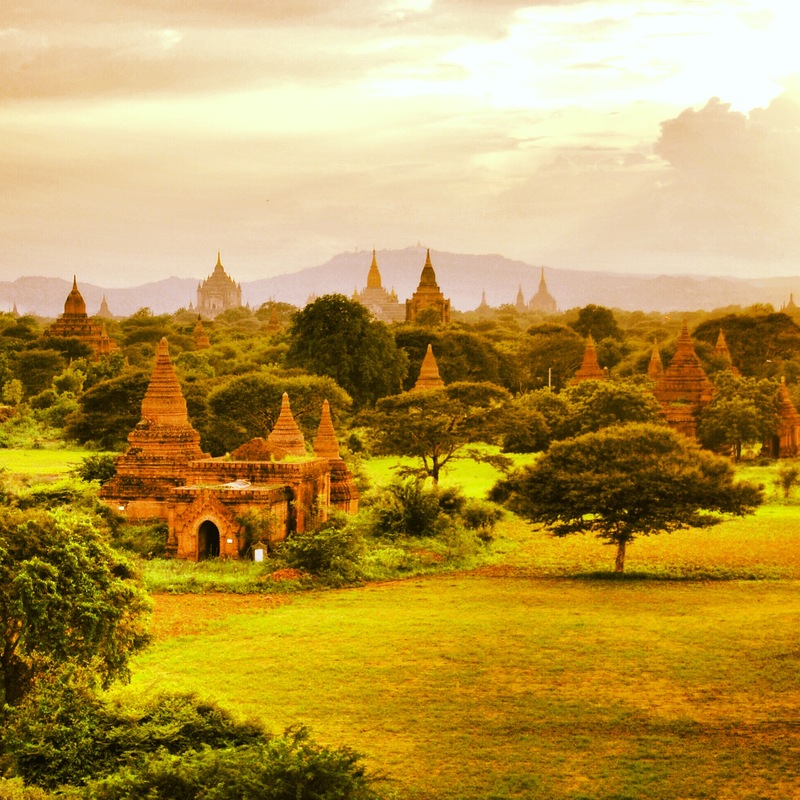 If you’re interested just do a search for Myanmar on our blog. I loved this piece – your writing is beautiful and insightful. It took me right back. Thank you. Thank you for your comment. Yes, I did visit your blog to read about your experiences in Myanmar. Unfortunately I couldn’t visit all the places that you mentioned but I was happy to see Yangon and Bagan and will save the other destinations for the next visit. Happy travelling then! Haven’t been but one of these days will make it there! You definetely should! It’s all worth it.